Marriott International’s Run to Give Hotel Charity Runs have raised a record US$421,000 for charity. The annual event took place in 115 locations on September 24, 2017 across Asia Pacific. Now in its fourth year, Run to Give events are organised by different Marriott International properties in various locations. Funds raised go to local charities for maximum relevance. Run to Give is a key event in Asia Pacific under the company’s ‘TakeCare’ movement that aims to encourage associates to live their best life by promoting physical, emotional and spiritual wellbeing and creating strong team synergy while making a difference in communities that Marriott International operates in. 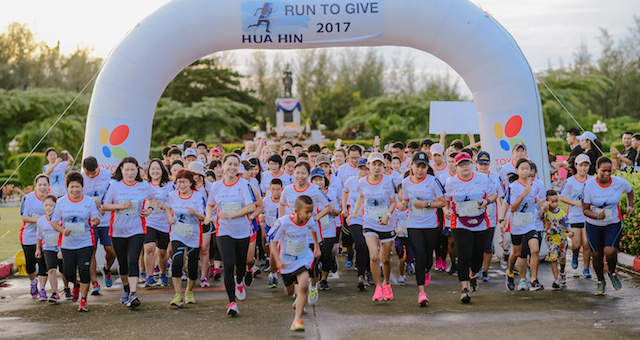 Started in 2014 by legacy Starwood Hotels & Resorts Asia Pacific as Hotel Charity Run, the inaugural event saw an overwhelming response of over 20,000 runners take part in 92 locations across Asia Pacific, raising a total of close to US$228,000. Since 2015, the run took on the official event name ‘Run to Give’ and in 2016, Run to Give marked the first event where legacy Starwood and Marriott International came together to celebrate a meaningful cause after the merger in September 2016, raising a contribution of nearly US$270,000.